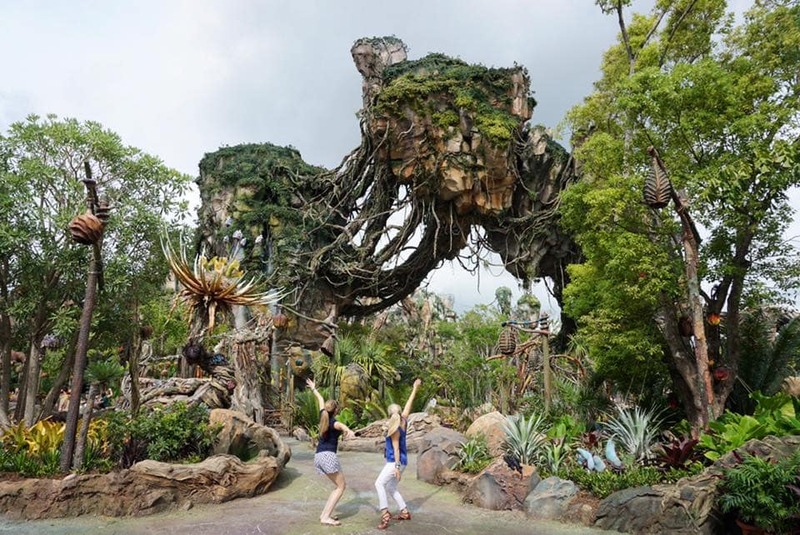 Pandora – The World of Avatar officially opens to the public this Saturday, but I had the chance to head down to Walt Disney World and immerse myself in the mystical land before it officially opens its doors. 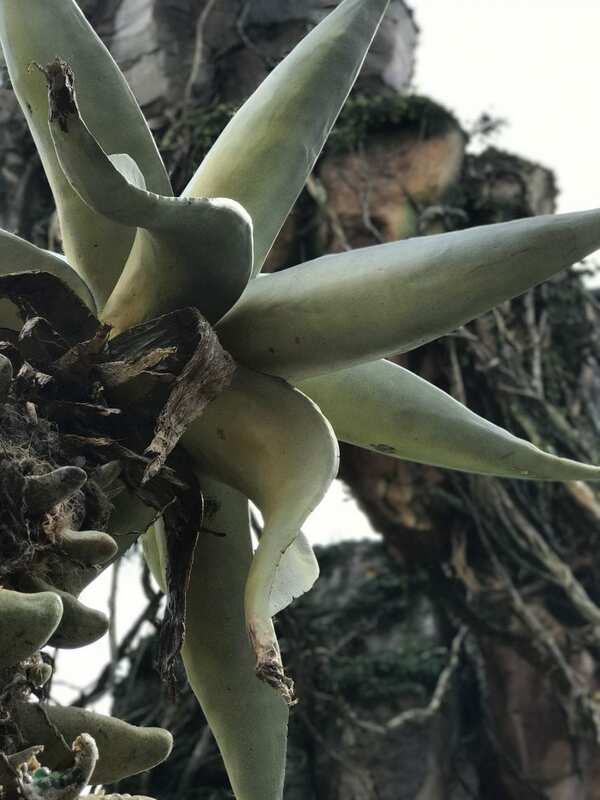 Between the massive floating mountains, bioluminescent rainforests, and incredible new rides, I’d say that Pandora – The World of Avatar is something NOT to be missed. Guys, believe me when I tell you that THIS is a trip you will WANT to make this summer. Mind-blowing!! I did one of the rides over and over again because it was just so MAGICAL. I was screaming like a child! When was the last time you lost yourself in an experience like that? To forget that you were on a ride? To believe that you were actually flying and racing and dodging because it all felt so real? My answer to that question is NEVER. I have never felt like I did this week. A true experience, indeed!! 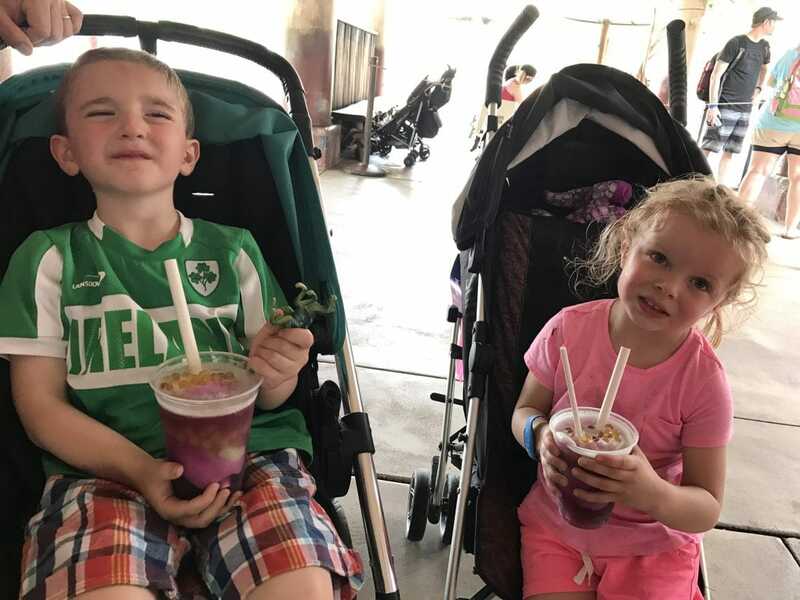 Fun and adventure awaits you in this entirely new land found in Disney’s Animal Kingdom at Walt Disney World Resort. It’s not only about the food and the rides. The path in between is part of the fun. Everywhere I turned, I found something interesting to explore. 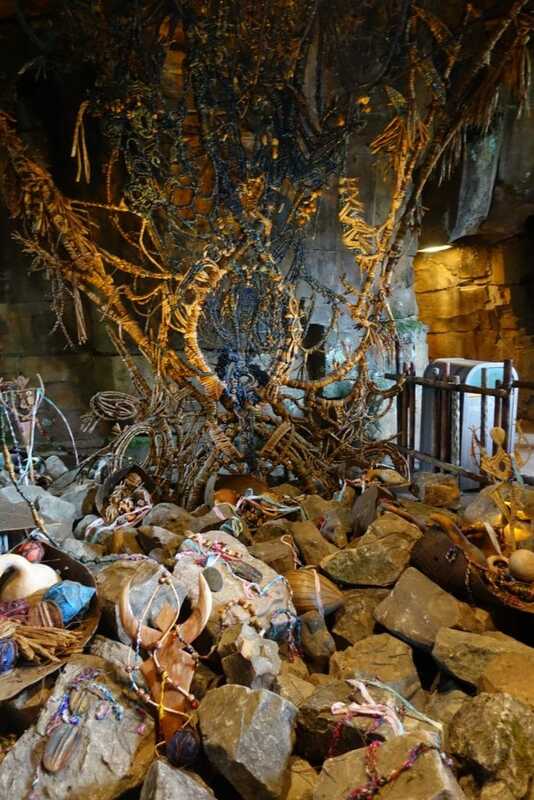 Whether it was sculptures or paintings or something alive and interactive, this is a land that wants to engage. The alien landscape is like nothing you have ever experienced before. I’d tell you to be sure to stop and take in the floating mountains at Pandora – The World of Avatar, but I don’t think it’s possible to walk through this section without doing so. I mean – they are absolutely breathtaking. Pictures do not do them justice. My friends and I stopped in front of these structures and soaked them all in until we felt like we couldn’t soak them in anymore. You can’t help but find something new with each and every scan. 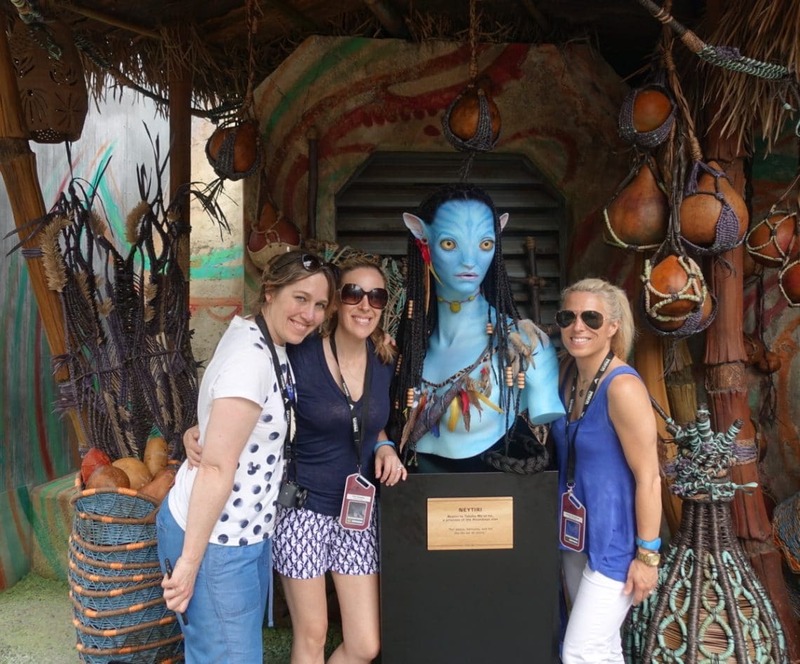 You won’t be able to walk a few feet inside Pandora – The World of Avatar without stopping! James Cameron At The Dedication Ceremony!! 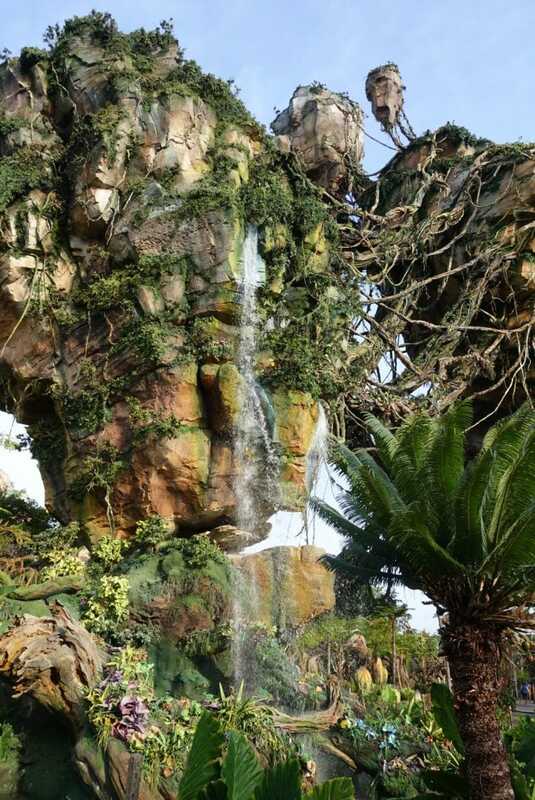 Based on Oscar-winning filmmaker James Cameron’s record-breaking box-office hit, AVATAR, the new land welcomes guests to the lush world of Pandora long after the human conflict with the Na’vi has ended. 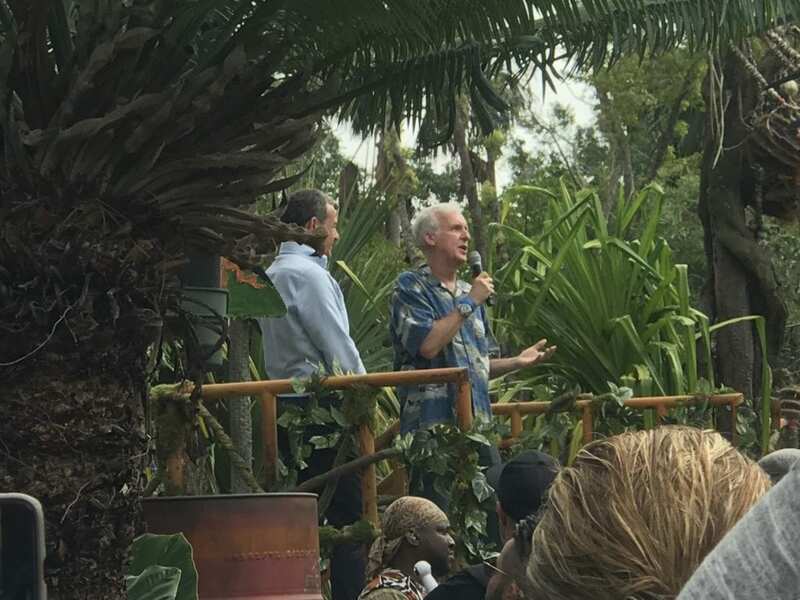 During the dedication ceremony for Pandora – The World of Avatar, James said a few words about how excited he was to see his dream finally come true with this land opening. It was really nice to see and hear. 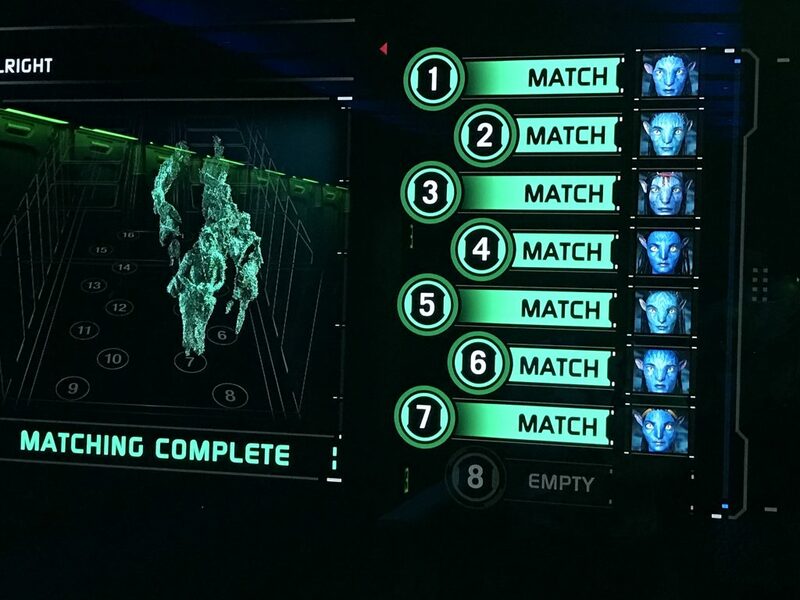 What Rides Are Available In Pandora – The World of Avatar? On the family-friendly Na’vi River Journey, guests travel down a sacred river deep into a bioluminescent rainforest. Aboard reed boats, they float past exotic glowing plants and Pandoran creatures into the midst of a musical Na’vi ceremony. This ride was so beautiful. It felt like ‘It’s a Small World’ because it’s an easy ride on a boat. HOWEVER, you are transported into another world and taken to a magical place. You are – in every sense of the world – part of Pandora – The World of Avatar. Everything is alive. You don’t know where to look. The colors are so vibrant. The shadows are stimulating. The music begins to move you. It’s an inner journey. It’s an outer journey. I think I found who I was meant to be somewhere in the middle? I don’t know? 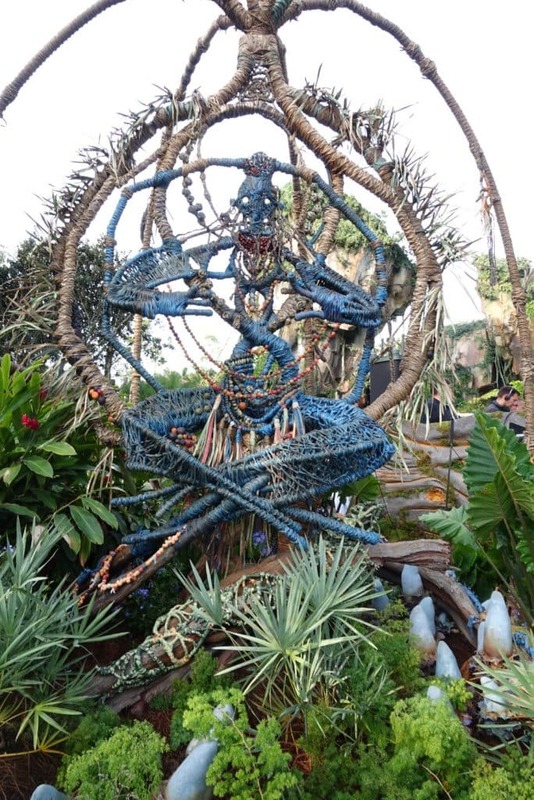 Pandora – The World of Avatar CHANGES YOU, man…. Avatar Flight of Passage launches each guest on an exhilarating, wind-in-your-face experience on a winged mountain banshee over the awe-inspiring world of Pandora. Think of it as Soarin’ meets Star Wars but 100000000 % better. It is an EXPERIENCE. I cannot say this any other way. This ride was the best ride I have ever had the pleasure of riding. I was SCREAMING and laughing and gasping and I don’t know… at one point maybe I cried?! I mean – I’m being dramatic here, but you catch my drift. It was everything and more that I hoped for. Guests will actually feel the banshee breathe beneath them as they soar through the forest and past floating mountains. It took me a second to get used to it and then I just felt LIKE I WAS ONE WITH MY BANSHEE. Am I crazy? I might be a little crazy. A multisensory experience that will launch you on the ultimate adventure. 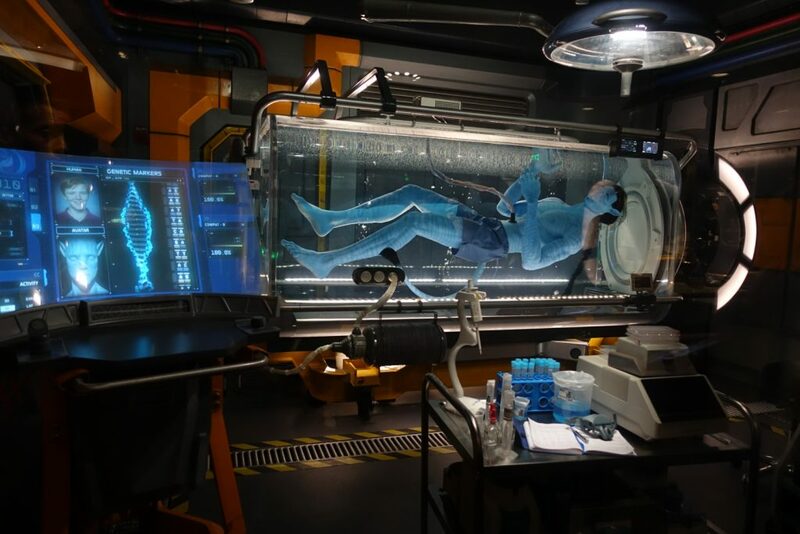 Do NOT LEAVE Pandora – The World of Avatar without getting on this ride. PLEASE. 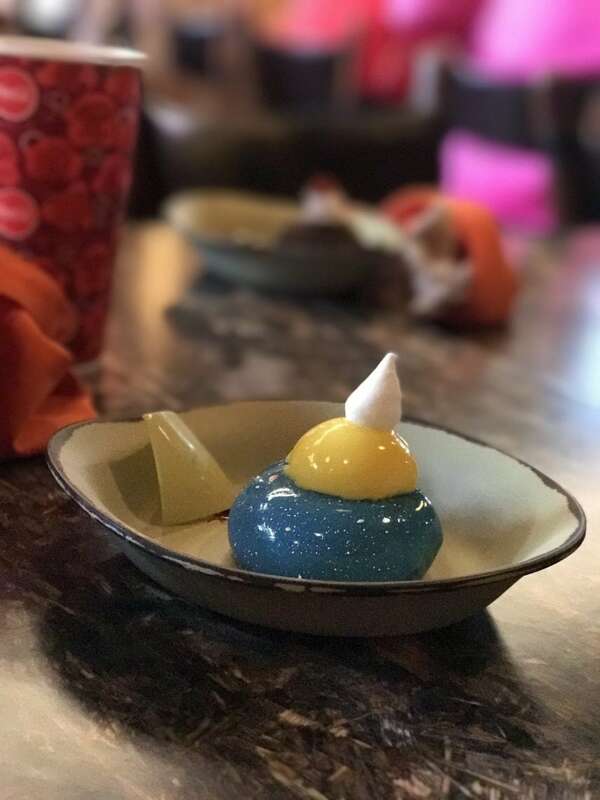 You won’t want to miss the Satu’li Canteen (pronounced “Sa-too-lee”), a Quonset-hut-style building with a spacious dining area that pays tribute to the Na’vi and their culture with special décor. It’s considered fast-casual. To be honest with you, when I went it was a media day and the restaurant was set up as buffet style. So, I can’t really speak to how the service is on a regular day. BUT I will tell you that I loved everything I ate and enjoy the taste of their wholesome grains, fresh vegetables, and hearty proteins. 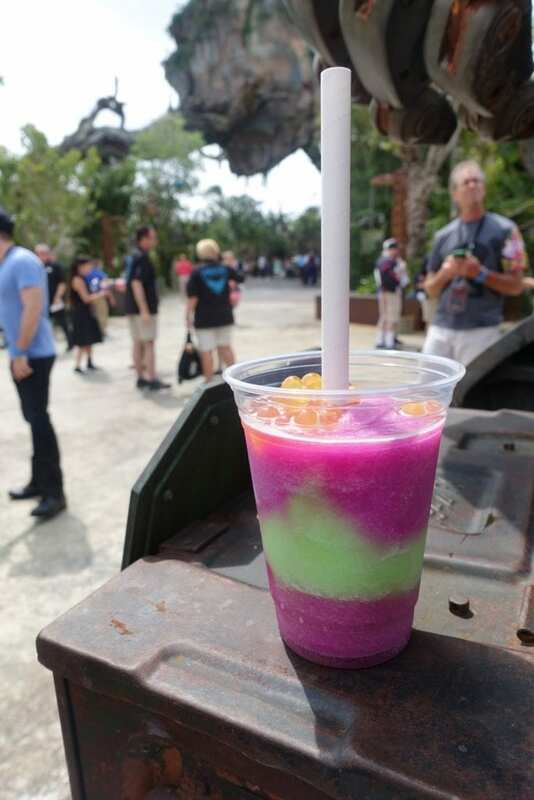 Guests can also grab a drink at nearby Pongu Pongu in Pandora – The World of Avatar. We picked up a few beers for our husbands and some really colorful non-alcoholic drinks for the kids. If you are on Instagram, this is where you want to go for the “money shot”. Super colorful concoctions! Naturally, I picked up a banshee to take home for the kids and yes, he moves! Stay tuned for a fun video on this. 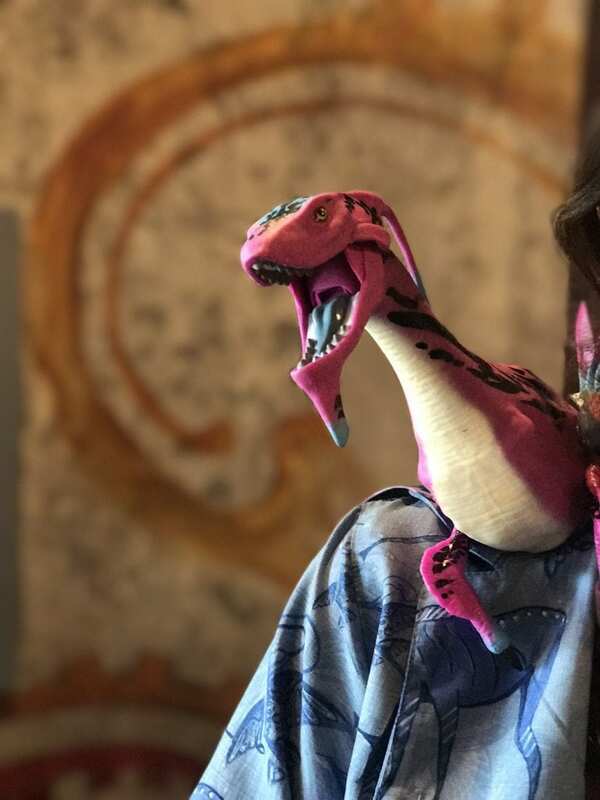 There are Pandora – The World of Avatar specific toys and accessories all available and they are SUPER FUN! 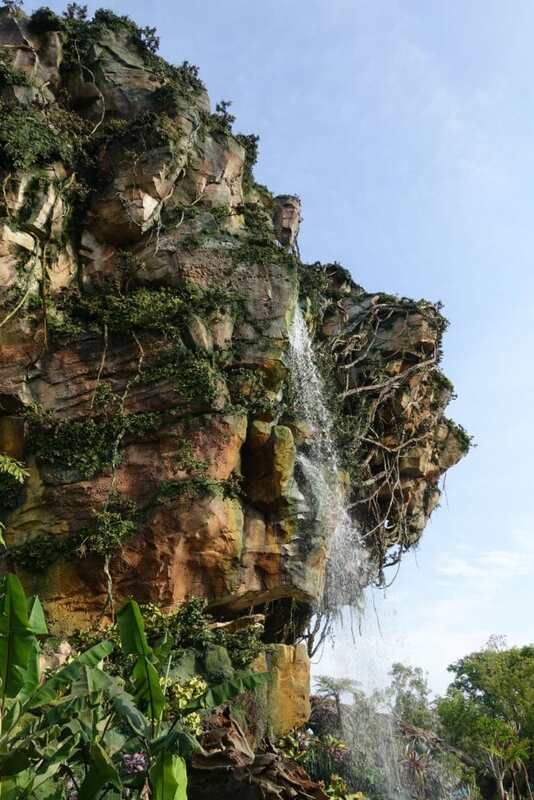 The 12-acre Pandora – The World of Avatar will dazzle guests with its bioluminescent forests, floating mountains, and glowing alien-like flora. Its May 27 opening comes in time for the summer vacation season at Walt Disney World Resort. I’ve heard the nighttime feel is really neat to experience. So, if you can try to get there at a time in the day where you can take advantage of both day and night!! It’s definitely a bucket list adventure. *Disney invited me to attend the press preview of Pandora – The World of Avatar. All opinions are my own. That is so amazing! Avatar is one of my favorite movies of all time. We must go there! I’m already making plans in my head. I could get lost here, in the world of Pandora. Seriously, like could I move there today? 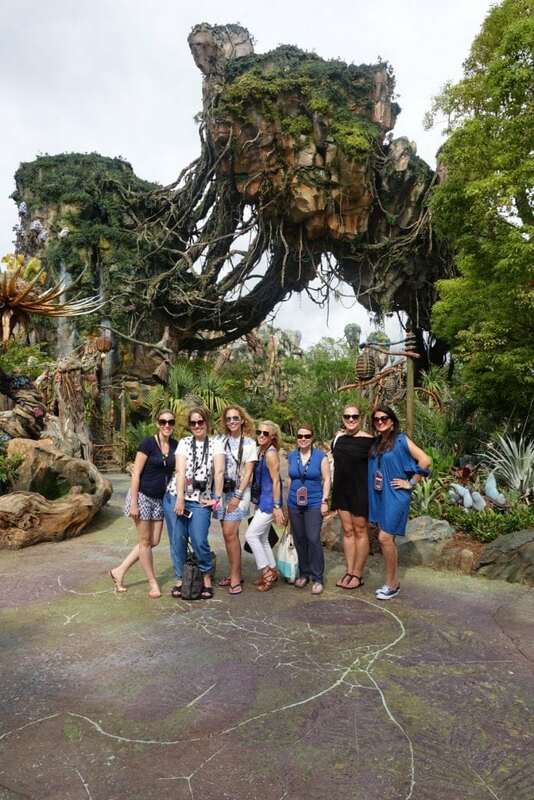 I’d miss Texas of course, but Pandora is awesome and so was Avatar! I was lucky to get to explore Pandora recently. It was an amazing experience. I can not wait to go back again. What an amazing place to explore. I loved the movie and I would definitely want to see this place. One day. You’re very lucky to be there! I think it’s awesome that you were part of the event. I’ve always been curious ever since I saw the posts about this new attraction! So cool! What a wonderful place! It looks great and amazing. I can’t wait to travel there.